Rob Rohde-Szudy from duckworksmagazine has a great improvment for the Hunter Frerich’s super duper tripod. Yes! here is another creative way to save some $$$ on your photography equipment. This is not my idea at all, it came from Hunter Frerich at DIY – Pocket Camera Tripod. It is basically a tripod with stiff wire legs that can wrap around almost anything. My improvement is in the material. 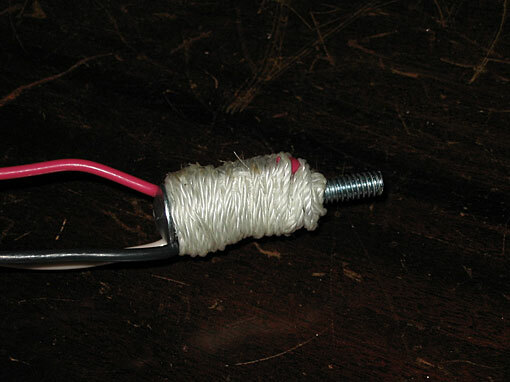 He used plain wire and wrapped it in electrical tape. I think that makes a gummy mess in warm weather. So at my beloved hardware store I got some 12 gauge insulated solid core copper wire. Much nicer. If you’re stuck with a box store, get 12 ga Romex and cut off the jacket. The other parts are a ¼-20 bolt or screw and wing nut. You might need a washer too. It is very similar to the original article. And it employs thee same ideas as the bottle-cap tripod and the mini-monopod – by now, you should really appreciate having some 1/4 bolts around. Now, the great thing about this tripod, is that you can use it for almost any photography equipment you have – you can use it to place your SB-800 (like me *wink*Nikon*wink* – but also other brands of flashes can be mounted). 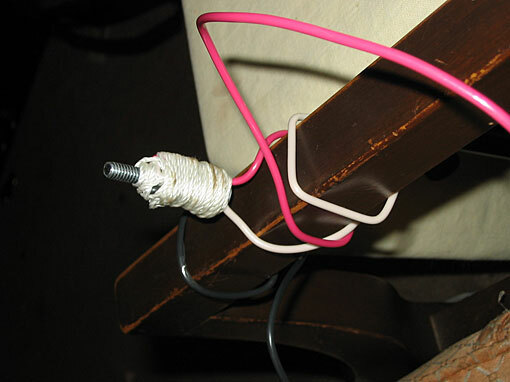 He taped the wires to the bolt, but I lashed them with mason’s twine. It’s stronger, easier to do, and far less messy. It’s also a lot easier if you draw it across beeswax or paraffin first. 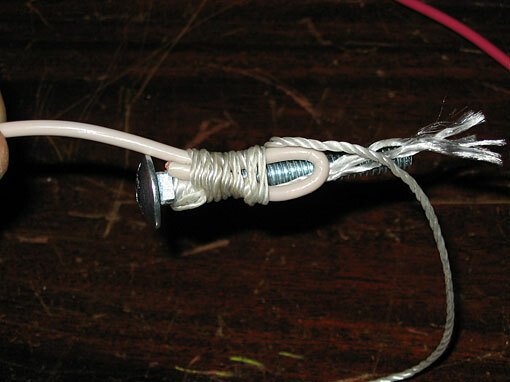 First tie it to the bolt with a clove hitch, and line up the first wire with a J bend in it. 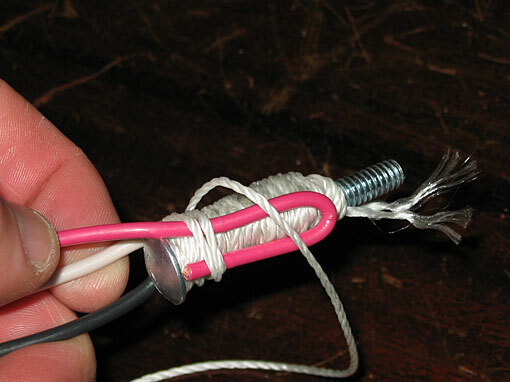 Wrap it tightly and finish with a clove hitch, then add the next wire. 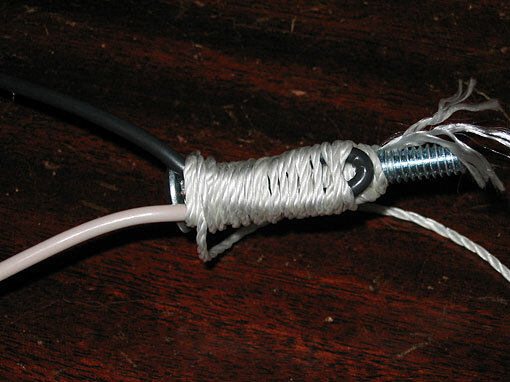 Wrap as before and add a final layer for comfortable handling. 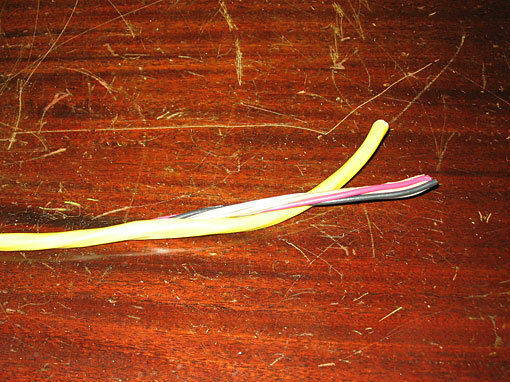 If you’re not the lashing sort, you might consider plastic wire ties, then I covering the whole thing with some electrical heat shrink tubing. But try lashing it first. If you find it difficult, use more wax! This version seems just as able as Hunter’s, but less sticky. If you are also interested in boats or boat building, check out Rob’s articles at duckworksmagazine. You can imagine how the spiderpod comes in handy for some of those shots on the water.